The electronic speed control system depends on the steering angle sensor to calculate the angle of the steering wheel’s position as well as its rate of turn. To get this information in degrees, you can use a scanning tool. Inside the steering column, there is a sensor cluster which houses the steering angle sensor. This sensor cluster contains multiple steering angle sensors in order to make sure the information is correct. Two signals must be sent to the electronic speed control module to verify the position of the steering wheel. Steering angle sensors come in two types; digital sensors and analog sensors. Digital sensors utilize a small LED light to calculate data about the rate of turn and angle positioning. Analog sensors detect the differences in voltage to calculate this. When digital sensors detect data related to the rate of turn, the angle of the wheel, the direction of the turn and other important information, it transmits it all to the main computer of the vehicle. 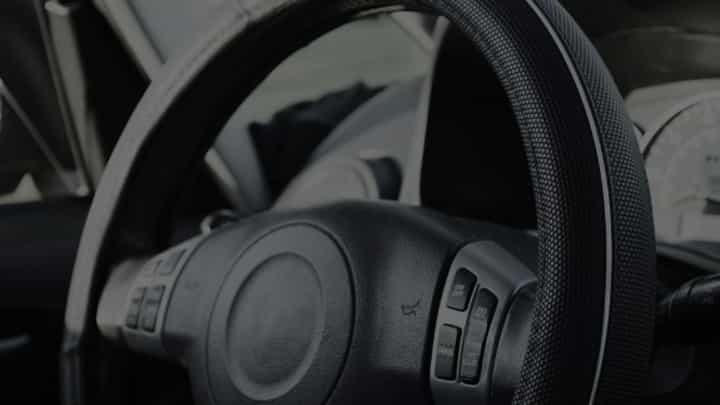 If the steering angle sensor notices an inconsistency between the steering wheel’s position and the direction in which the vehicle is going, then it will implement a stability action to help the driver maintain control of the vehicle. If an understeer state is experienced by your vehicle, the rear brake on the inside of the vehicle will be used to automatically fix this problem. Now, if the vehicle is experiencing an oversteer state, the rear wheel on the outside will have a brake applied to it by the stability system so that the vehicle will go in the right direction. If the sensor ever malfunctions or stops working, then you should see a warning light on your dashboard turn on to warn you. Once this happens, your stability system is not functioning correctly. When you don’t have the steering position centered in certain Toyota car models, replacing or disconnecting the car battery will result in symptoms of the car wanting to drive itself. You may also notice the output of the engine dropping at certain times. If you experience any of these symptoms, you must use your scanning tools so you can get a reading on the faults. Just remember that not all scanning systems will detect every kind of fault. If the scan does not produce any engine codes to represent the reason for any power loss, you may still notice that the SAS is reflecting a -560º reading as the steering remains centered. Why would that be? After you replaced the battery, the vehicle’s wheels may have been turned completely to the left rather than remained in a central position. The reason for this was due to the wheels being in a tight parking area which meant that they needed to be pushed out to get to the battery. Once the vehicle got its power back and the battery was put back in and connected to the vehicle, the wheels continued to face left while the steering angle sensor detected a zero reading. In Toyota vehicles, they have a reset process that is known as zero-point calibration. At the beginning of the process, you disconnect the battery from the vehicle. Calibration will not be lost by the vehicle’s stability control module when this happens. However, there will be a recalibration within the system for the newest position. It does not matter the direction in which the wheels are facing either. That means zero will be given for this position now. You can use a scan tool to diagnose the problem by graphing the stability system sensors on it. Make sure you use leveled ground to perform these diagnostics. If you cannot find ground that is leveled, then an alignment rack may help.